The part of Maria in the sixth season’s seventh episode is played by Paulette Lamori. Maria is Vince’s housekeeper and informs the guys that their day’s laundry is mysteriously absent of underwear, confirming Vince’s suspicion that a thief had entered his home the night before. 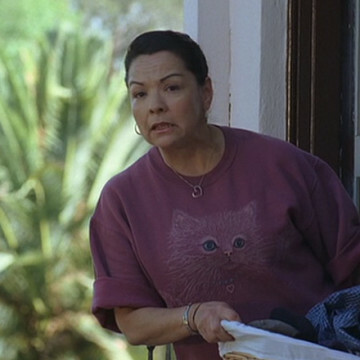 Paulette makes her small Entourage appearance about four minutes into the episode.